Tips to help prepare for pregnancy when you have diabetes. The time in your life where you decide to try for a baby can lead to a huge mix of emotions, excitement, nervousness, confusion, and uncertainty. Obtaining the right information regarding diet and health at this time can also be overwhelming. It can be even more confusing when you add diabetes on top of it all, so it’s important to ensure you seek out information from your experienced diabetes team. 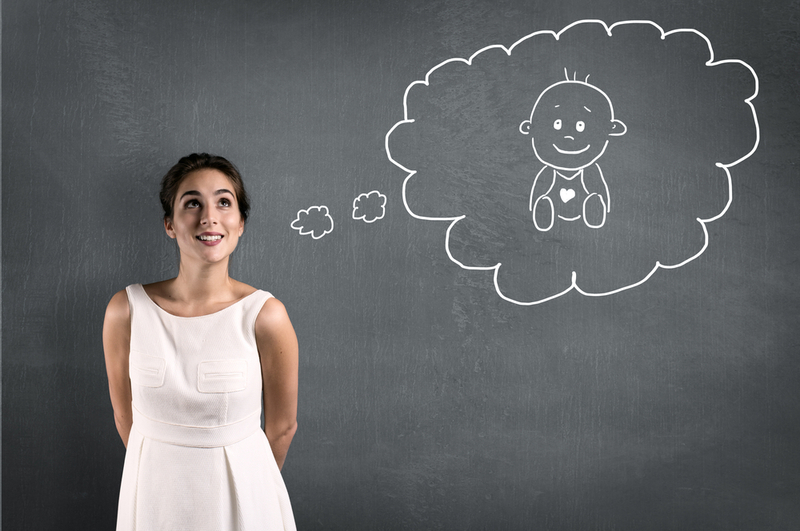 Here are some tips to consider before falling pregnant. The most important recommendation prior to falling pregnant is to ensure you’ve had a full health check-up, including a visit to your diabetes team and dietitian. Your diabetes team will help ensure your blood glucose levels are as controlled as possible - which will increase your chances of falling pregnant and delivering a healthy baby with a lower risk of complications. Neural tube defects are birth defects that develop early on in pregnancy and affect the brain and spinal cord of an unborn baby. The Prevention of neural tube defects: results from the Medical Research Council Vitamin Study found that woman who took folic acid supplements prior to conception reduced their risks for having a child with a neural tube defect by more than 50%. After this study, there was a public health initiative for all women to take folic acid supplements prior to conception. Unfortunately, women with diabetes are at higher risk of having a child with neural tube defects (Maternal Dietary Glyemic Intake and the Risk of Neural Tube Defects. Neural tube defects can be prevented with adequate folate intake (vitamin B9), however it can be difficult to reach adequacy from diet alone. Folate supplementation 1-3 months prior to falling pregnant is important for all women, and a higher dose of folate of 1mg/day, is recommended for women deemed at higher risk. It is suggested that women planning to fall pregnant take a pregnancy multivitamin, however, these may not have this high dose of folate, so talk to your doctor who can recommend the best option for you. The higher folate dose (1mg daily) should be maintained for the first trimester (3 months) of pregnancy, after that 0.4mg per day of folate is recommended for all women in the later stages of pregnancy (What Dose of Folic Acid Should Be Used for Pregnant Diabetic Women). Pregnancy is a period of rapid growth and development for the foetus, as well as maternal physiological change. During this time, suitable nutrition, including adequate intake of micronutrients and macronutrients, is essential during pregnancy to help with the growth and development phase (Effect of Women’s Nutrition before and during Early Pregnancy in Maternal and Infant Outcomes: A Systematic Review). Likewise, undernutrition and overnutrition during pregnancy are associated with adverse outcomes, where it can result in an increased risk of diseases diagnosed in childhood and into adulthood. It’s just as important to have adequate nutrition prior to conceiving. During your check-up with your doctor, ask them to also check your vitamin B12, iron, and vitamin D levels before you start trying for a baby, as it’s important to correct any deficiencies. You may be required to take a pregnancy multivitamin if you are unable to get enough nutrients through your diet. Pregnancy multivitamins can provide a top up of calcium, B12, vitamin D, folate, iodine and calcium, but if you are deficient prior to pregnancy this might not be enough. If you drink alcohol it’s also important to reduce this below risky levels well before conception. Less than 1 standard drink a day and 2 alcohol-free days a week is recommended by most government health authorities for adults. While there is no recognised safe level of alcohol consumption during pregnancy, alcohol can cause malformations to embryos as it impacts foetal growth and development across all stages of pregnancy (Alcohol Use and Pregnancy Consensus Clinical Guidelines). Abstaining from alcohol during pregnancy can help to eliminate the risk of alcohol-related birth defects and development disabilities, for example Fetal Alcohol Sprectrum Disorders. So, once you begin trying for a baby it’s recommended that you abstain from alcohol entirely. It’s also important to be as close to a healthy weight as possible prior to conception. Have a chat to your doctor or dietitian about a healthy weight for you, as just a few kilograms can make a huge difference in the ease of falling pregnant, risk of complications in pregnancy, and the long-term health risks for both mum and bub. Just remember… Preparation is key before you conceive, so involve your healthcare team (regular doctor and diabetes team) early on in your planning process. It’s important to be in the best shape prior to becoming pregnant – that includes blood sugar control, if you are thinking about becoming pregnant talk to your diabetes team and regular doctor. Women with diabetes are recommended to have a higher dose of folate to reduce risk of neural tube defects. A healthy weight, abstaining from alcohol consumption and ensuring adequate status of certain vitamins and minerals can all assist in a successful pregnancy.